Our children are the foundation of our society. How we parent is a driving force shaping our children as they grow into productive adults. Parenting is not intuitive and babies do not come with manuals. Indeed, each child is unique and sometimes this can create challenges in and opportunities to respond in ways that help our children and our families. All of us can improve by learning strategies and ideas to help our children master important skills and develop the ability to be independent. Our parenting education programs help parents do just that, as well as help professionals interact with both youth and their parents. 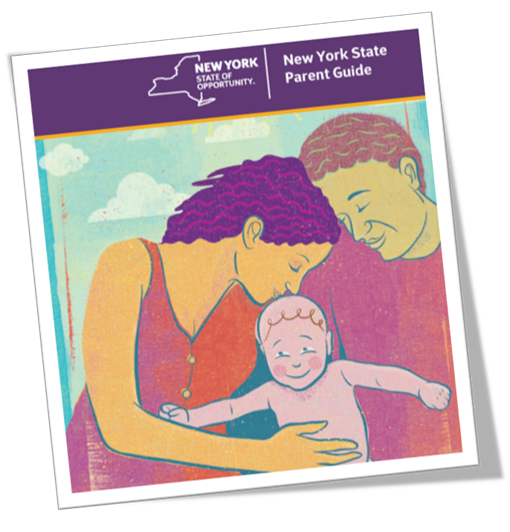 Access the New York State Parent Guide by clicking on the picture below. Between the months of October and December 2018, we surveyed parents, school professionals, medical professionals, and parent educators to better understand parenting needs in our county. You can view the results from the surveys here.